hello again everyone. 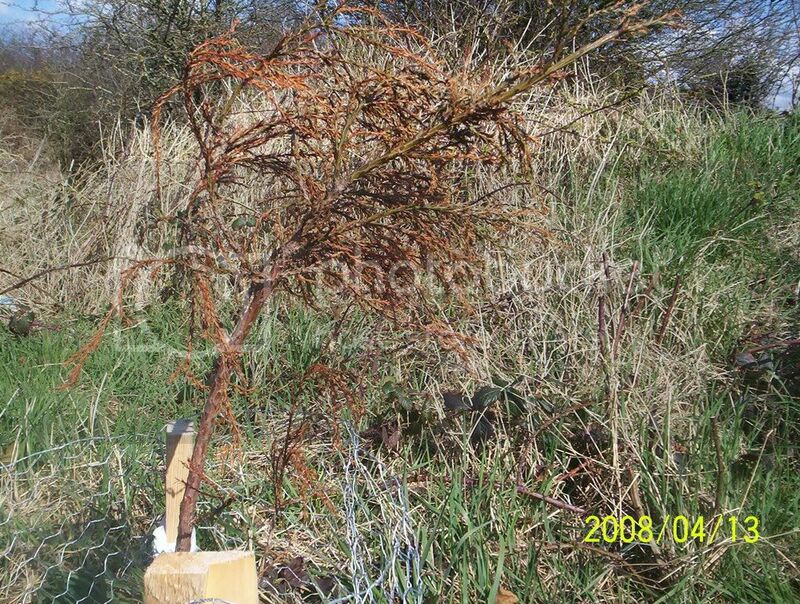 I have recently planted some sequoia trees and they seem to be dying ,there are in boggy ground and watered with liquid fertilizer now and then any ideas. There looks to be a fair bit of damage done to that Sequoia. Wind drying it out and immature roots unable to replace the lost water, I'll wager. First seasons are always the one where new trees require regularwatering, especially when they are evergreen and especially if the location is exposed. spider, is the area exposed, as Sequoia generally dislike locations like that anyway, preferring shelter. The Sequoia looks bad, I fear for it, but the lilac is young and looks pretty healthy, So keep up the watering and offer protection if you can. If you feel this cold harsh wind will be affecting the plants such as those in the pics year round, then it is still not to late to move them to a sheltered location. thanks gpi for your advice .pity did not think they would be short of water on boggy soil .Maybe too late for them but will keep them watered and see what happens. There sure seems to be a difference between the Giant Sequoia and Coast Redwood Sequoia sempervirens as far as moist soil goes. I remember from working at country clubs how the Giant Sequoia in the wetter areas were a bit stunted, and lost some color in winter - almost turned red. But I've seen coast redwoods in some pretty moist areas - even semi-boggy, that seem to do well. The one in the image below is one of several in a boggy grove, showing how coast redwood can last for centuries. Giant Sequoia would never have survived there . Both species are marvelous. Enjoy them both. Do you like that speices as well ? thanks for the info mdvaden and photo. Fine speciem . 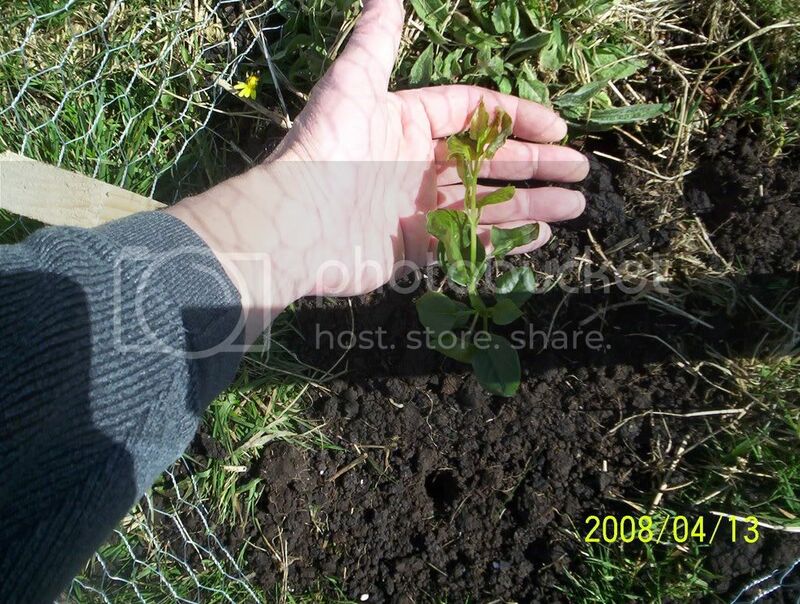 And yes have a fondness for coast redwood , giant sequoia , and dawn redwood .Have already planted 5 giant sequoia and 5 coast redwood , plus 2 dawn redwood . So far think cost redwood seems to be growing the fastest , have to wait and see how they get on this year .